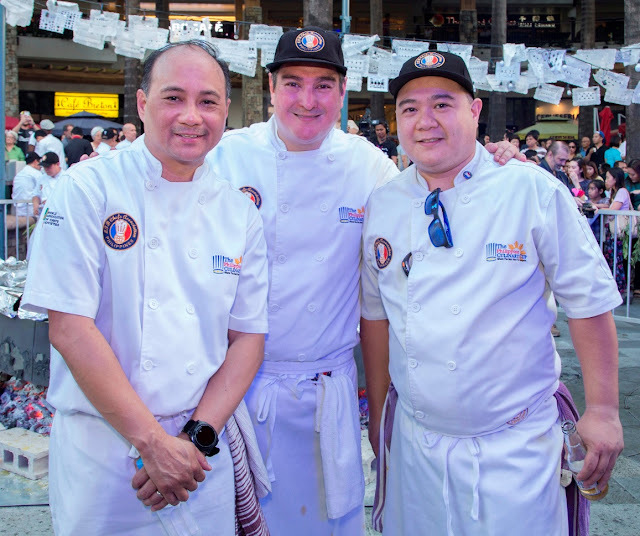 Organized by Greenbelt, the Sociedad Española de Beneficencia (SEB), LTB Chefs Association and the Spain Tourism Board, the fourth Festival dela Paella Gigante gathered some of the best chefs in the Philippines to cook the biggest paella in the country for a charitable cause. The event was also the launch of Flavors of the Philippines, a month-long and nationwide series of activities initiated by the Tourism Promotions Board (TPB) and Department of Tourism (DOT) that celebrates the unique and rich cultural heritage of Filipinos. Filled with over 600 kilograms of various ingredients, the paella was cooked on the spot by some the country’s most popular chefs namely Club Punta Fuego’s Mikkel Arriet, Aracama Filipino Cuisine’s Fernando Aramaca, Cirkulo and MilkyWay Restaurants’ J Gamboa, The Country Club’s Sito Senn, Terry’s Juan Carlos de Terry, Kai and Cerveseria’s Gilbert Pangilinan, Tambai’s Jerome Valencia, and LTB Phils Chefs Association’s James Antolin. 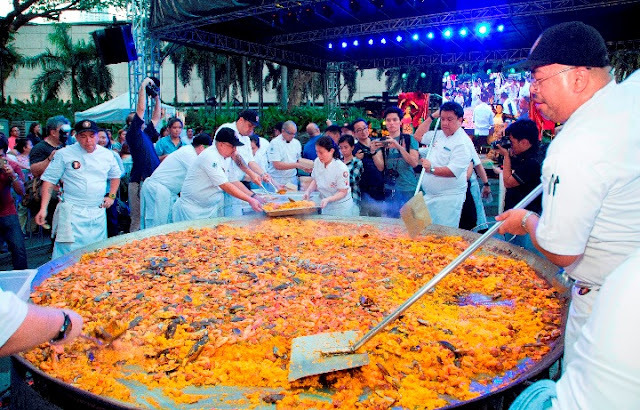 “The launch of Flavors of the Philippines through the Paella Gigante definitely displays the unifying element of food. Aside from Paella Gigante, our country will also host other big gastronomic events such as Madrid Fusion Manila 2016 and the World Street Food Congress on April, as we celebrate Food Month. The Philippines indeed is fast-becoming the center for culinary excellence, attracting more travellers and increasing tourist arrivals in the Philippines,” says TPB Chief Operating Officer Domingo Ramon C. Enerio III. Greenbelt General Manager Mina Domingo, DOT‘s Undersecretary Benito C. Bengzon, Jr., Assistant Secretary Arturo P. Boncato, Jr. and Verna C. Buensuceso, TPB’s Arnold T. Gonzales and SEB President Pablo Garcia-Morera and SEB Executive Director Lally Hildalgo San José ceremoniously started the cooking extravaganza by pouring oil into the paellera, which measured 10-feet in diameter. The event was graced by His Excellency, the Ambassador of Spain, Don Luis Antonio Calvo. Aside from the giant paella, whetting the guests’ appetite were other Filipino and Spanish favorites such as lechon, sangria, churros and croquetas de jamón. Nyko Maca together with Emma Estrada and Grupo Nuevo Flamenco completed the event’s Spanish ambiance with Spanish music and flamenco performances. Proceeds of the Paella Gigante festival will go to the shelter and healthcare assistance programs of Sociedad Española de Beneficencia (SEB). The Festival de la Paella Gigante was indeed a tasty celebration of great food and shared history and heritage. Aside from fostering the strengthening ties between Spain and the Philippines, the Paella Gigante festival was also a great opportunity to showcase the country’s culinary treasures in an effort to put the Philippines at the center of the global culinary map.